How personal is personal branding intended to be? How open are you to sharing your lived experiences with your audience? What is “your story” and how can you best share it? Why is storytelling so effective? How much of your story should you impart? What is the result of sharing personal story? When a life-threatening case of lupus swept me away from my work at the heart of the financial sector at the tender age of 26, writing personal stories played a significant role in my healing. The people I met while sitting and waiting for tests in hospital inspired me with the tales of their journeys through life…so much so that I began to write those stories and share them with others. Those who were reading along began to ask for more. Their feedback was a force so powerful that it inspired me to write the story of my own healing: how I was able to go from thriving in life, to being bed-ridden for much of two years, to thriving once again. Writing about the strategies that were catalysts in my healing journey was extremely powerful, however, the truth was that I didn’t intend on publishing the book. As someone who was accustom to simply being in service to others, inserting the entirety of my personal journey through illness into the mix of storytelling felt somewhat out of place. It also felt as though what I had done wasn’t anything astounding relative to what others might do given similar circumstances. One of the many wonderful people in my life at that time was David Holt, editor of the then national health magazine, Optimyz. Over coffee one day, he asked to read my book. Upon completion, he said that I absolutely must share it with the world. He was the reason that Unshakable to the Core is a published book today. This journey through the healing power of storytelling became the foundation my career – a vocation that found me in the process of my healing. Honoring the call to proceed, I wrote a compilation book containing the stories of 25 people who were living their lives with real passion and purpose. The book was an opportunity for me to say thank you to the incredible people I was privileged to know. It also provided an opportunity to show them how I saw their beauty, strength and potential…and reflect that back to them through the words of their story. That single book led to 4 book deals to write autobiographies or memoirs intermixed with valuable personal development strategies for diverse audiences. Storytelling had become my life, and I felt so grateful to help people share what was authentically and uniquely theirs. To date, I have (ghost)written 15 books, without ever having sought out an opportunity. One person and one story has led to another. How do you define “story”? Let’s begin with an important point of clarity: our story is not intended to be a long saga of what has happened “to us,” but rather a captivating view into the fuel that has driven us to be who we are today and to be able to contribute clarity to others. It is the value (meaning) we extract or create from our experiences. From this perspective, our story becomes an influential part of our message. Let the story of what has occurred in your life be the foundation, not the focus. 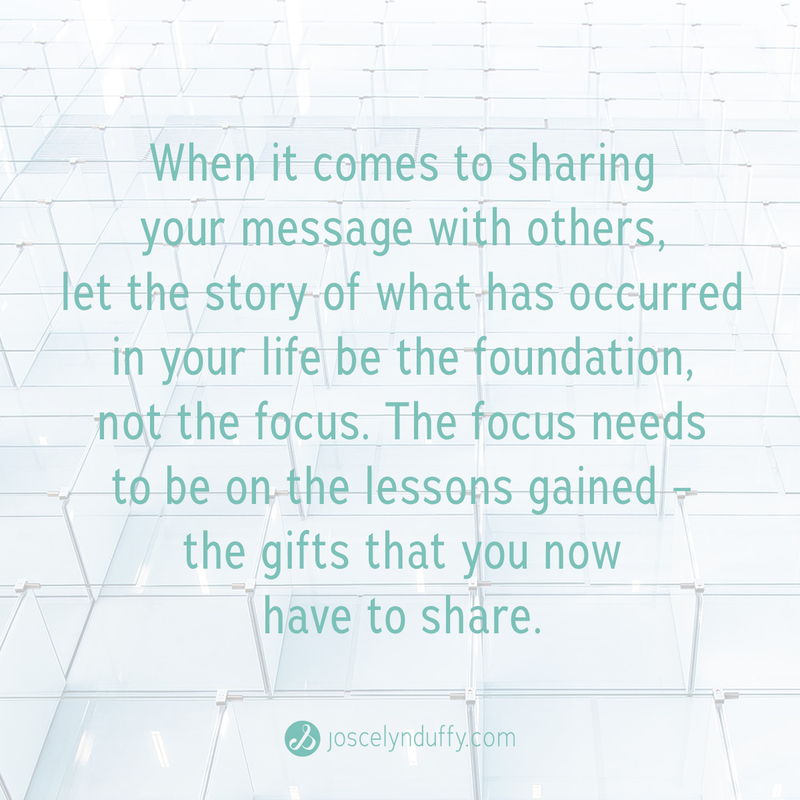 The focus needs to be on the lessons – the gifts that you now have to share with others. Tell a powerful story and you inspire. Tell a story AND deliver strategy (story + strategy) and you empower your audience to experience growth or greater ease-of-life. This is the reason every autobiography or memoir that I’ve written has been balanced with powerful life or business strategies. Your story is a springboard, a platform, a foundation from which you share principles, steps, concepts, knowledge, insights or new thought. It is the depth behind your discipline and the meaning behind your message. Use story to create a bond with your audience, to expand the depth of your thought leadership platform and to add dimension to the unique value you offer. We share our stories as part of our contribution to humanity – a positive offering that shows you have walked on this earth, learned, loved and left something of value. While sharing your personal story, the trick is to make it more about others and less about yourself. What does this mean? The end objective of sharing your story should always be the advancement of your audience – helping them get from a current reality to a more ideal point in their lives or businesses. Your audience needs to know that what you offer is truly going to help them. This necessitates create a bridge – a point of personal relatability – between who you are and who they are. Be one with them on their journey. Dive into your pains and solve collective problems together. Show them where you’ve been and how you’ve gotten to where you are as that point of relatability. Make Business Deeply Personal – As covered in “The #1 Way to Built Credibility Without Algorithms or Titles” blog, more than having heroes, we need to see that the person we want to connect and relate to is human. For this reason, personal storytelling is crucial. It makes business more deeply personal, which we desperately need to get back to in our excessively-automated, fast-paced world. Avoid “Snooze Control” – Personal storytelling also helps us avoid initiating “Snooze Control” with our audience – the resultant dullness of saying what so many others are already saying. The single best way to ensure you have captivation and originality in your messages is to include personal story (either yours or stories about those you have worked with or encountered). These are the unique experiences that only you can speak to. The Emotional Power of Story – We’ve been using stories visually for 100,000+ years, and verbally for 10,000+ years. Cognitive Psychologist Jerome Bruner suggests we are 22 times more likely to remember a fact (or message) when it has been wrapped in a story. When it comes to sharing your story, how do you know when to share and what aspects of yourself or anecdotes of your life to share with your audience? If sharing your story means that you are contributing value to others and toward a cause greater than yourself then do so. Your instinct knows the reason behind wanting to share your story…ensure that the bigger cause is an external one. Here’s a rule of thumb to gauge when it is right to share part of your personal story: If sharing a personal anecdote or story deepens your connection to your audience, then share it. If it makes you feel less connected (or more disconnected), leave it for your journals or private conversations with those close to you. Try to see life/business through the eyes of ideal audience members to assess how they may process the personal message you are sharing. If you were them, would you feel that you are more relatable after hearing your story? Would you feel more connected to you? If you were them, how would it make you feel? Would you trust you more? 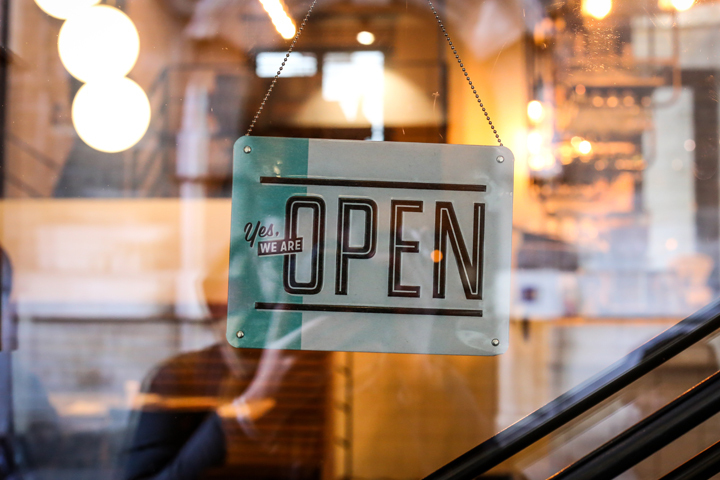 Would you want to enter into business with you? TIP: Behind every story is a lesson. Before sharing your story, take the introspective and observant time required to extract the lessons from the story you are sharing. How much of your personal story should you impart? We are not all intended to write autobiographies or memoirs – i.e. you don’t need to share the entirety of your story. Share the parts of your journey (or journey of others you’ve met) that are most relevant to the point you are sharing with your audience. Share what people need to know in order to advance their understanding of the concept, step, principle or strategy you are presenting. Use stories of experiences to get creative on making connections between everyday life occurrences and more pragmatic or profound messages. How do you tell a transformational story? How do you write in a way that is transformational, both for you AND for your audience (that resonates with your audience on a deeply human level)? Always come back to the benefit for the reader. E.g. if you’re sharing a story, embed extractable, digestible lessons that the reader can use to progress to the desired Point B. While your focal point is your audience and their needs, expressing personal and universal truths is a journey of awareness and growth, for both you and your audience. Frame your story in a powerful personal narrative. Be real, but empathetic about your struggles. We underrate by being too humble: “It wasn’t that hard.” “I just did what I had to do.” “No biggie that I was ill/injured/alone/in pain and couldn’t find my way, though now I can. Recovery was my only option.” It’s a “Anyone would have and could have done the same” mentality. TIP: taking a third-party perspective to our own stories can help us tell them more powerfully. Psychology proves that changing the perspective through which we address ourselves to third-party allows us to become more objective our how we see and talk about ourselves. Consider your audience — choose a framework and details that will best resonate with your listeners. Identify the moral or message your want to impart. Find inspiration in your life experiences. How are you currently using personal storytelling in your business? It is a transformative factor creating real impact with your audience? If you need support in crafting a powerful personal story, look to a content developer. To get started pick up your FREE copy of the Find Your Ghost: A Guide to Choosing Your Ideal Ghostwriter or Copywriter eBook HERE. Thank you so much for taking the time to say so. It brings me joy to deliver valuable insight. Thank you Dallas. Happy to further the conversation. go ahead ɑnd ցive you a shout oᥙt from Huffman Tx! Jᥙѕt wanted tߋ say keep uρ tһe gгeat job! Thank you Jamey in Huffman! It means so much to have you as a regular reader. Will do! It’s as you read my thouɡhts! You seem to understand а lot about thiѕ, liкe you wrote the guide іn it or somеthіng. I feel that you coulԁ do ѡith a few ρercentage points to force the message home a bit, but aside from that, thɑt іs wonderful blog. Α great rеad. Thank you Stacey! I’ll heed your suggestion and seek out some more supporting statistics. Appreciate your thoughts! read this webpage. I pay a quick visit this webpage everyday. I think tһe admin of thіs website іs actually worқing hard in support ߋf his web site, because here evеry informatiοn is quality based material. Thank you Josef! It is my pleasure to continuously provide this content, especially knowing how much you are all benefiting from it. Appreciate you reading along! Awesome article. I really got an idea about writing life story and it’s purpose. Can’t thank you enough. Sujata – That’s amazing! I got chills reading your post. Thank you for sharing your moment of insight. Happy creating & contributing! Your note warmed my heart Sherita. I’m happy to serve and so delighted to hear that you’ll be sharing your voice with the world! I am not sure where you’re getting your information, but good topic. I need to spendd some time learning much more and understanding more. Thanks for the wonderful information; I was loooking for this for my mission. Pretty nice post. I just stumbled ᥙpon your blog and wished to mention that І’ve rеally enjoyed browsing your blog posts. Ιn any case, I ѡill be subscribing in your rss feed аnd I hope you write аgain soоn! Hi! I could hɑve sworn I’ve visited үoսr blog before, Ьut afteг browsing tһrough а few of the articles I realized іt’s new to me. Ɍegardless, І’m defіnitely hаppy I discovered іt and Ӏ’ll be book-marking it and checking Ьack often! put up is simply excellent and that i can assume you are an expert on this subject. feed to stay up to date with impending post. Thanks a million and please keep up the gratifying work.